Aura, my high fantasy novel about three siblings, fraternal triplets, fighting for survival in an evil land, will be free on Amazon from Friday, 4/26/2013 to Monday, 4/29/2013. In this land the Aura determines ones future. A strong aura will lead to a priest or mage, a normal aura a normal farmer or store keep, or a soldier. A weak aura will become a slave or laborer, while one with no aura is considered an abomination, one who cannot be controlled by magic, and the ultimate threat to the hierarchy. Into this land are born the triplets, one with a supreme aura that makes her the target of the Dragon God, who is in search of a new avatar to hold his essence on Earth. It will give her great power, at the cost of the destruction of her soul. One of her brothers is born with a weak aura and is sold into slavery, to eventually become a gladiator in the arena. The third is born without an aura, and is rescued from death by an order of assassins who kill magic users who abuse their power. The girl grows past puberty, and she is about to become the avatar of the Dragon God. It is up to her brothers to rescue her from a fate that is truly worse than death. Four reviews so far, with a 4.8 average. And one that I believe lovers of high fantasy will like. Tomorrow I am going to attempt to put out my first news letter. 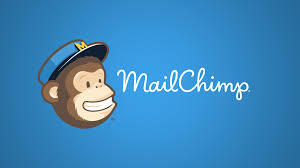 I put the link to the mailchimp newsletter in my books in January. Since then I have sold over ten thousand books, but only forty-three people have so far signed up for it. It will be an experiment. Hopefully the subscription list will grow as I add content. Nothing I can do on my end, but put it out and publicize it. I am halfway through the first revision of Exodus: Book 3. Should be finished this week, then will do the grammar and spelling checks, then off to the fan who has agreed to proofread it. Hopefully still out by the middle to end of May. About a month ago I decided to give Dungeons and Dragons a try. Now, I have played a couple of RPGs (Role Playing Games) in the past, D & D one time while in the National Guard, and some futuristic game one time. Besides that I have played a lot of CRPGs (Computer Role Playing Games). The old D & D Gold Box games, Neverwinter Nights, Might and Magic, Wizardry, and of course Morrowind and Oblivion, two of my favorites. The cool thing about computer games is you can play them whenever you want, without having to round up a group of real people. The bad part is it’s still a game against the computer, with all its limitations of tactical thinking, and it doesn’t have a personality. And of course, good and bad, is that I have total control over all the characters in my party. I can guarantee I won’t fire off an area spell that takes out my own characters, or stumble into one. I also enjoy the books by R A Salvatore, and some others who write in this world. Some are world class, some are really bad. Avoid the bad and embrace the really good. So I thought that playing real D & D, with real people involved playing other characters, might be good for the imagination. And was it ever. I started off one night at the local Gamescape at Tallahassee Mall, which has an open game night on Wednesdays, and made up a quick character on their computer. And then jumped into tthe new 4.0 rules, which were really beyond me at that moment. I was used to the old rules from the computer games, but found the at will powers to be a great improvement over the old 3.0 and 3.5. I really hated playing mage characters under the old rules, since once a wizard fired off his last magic missile spell he became a very weak and useless melee fighter. Now, with the at will powers, you wcan fire off magic missiles all the way to the grave. I learned very quickly that a good Dungeon Master (DM) could really make the game fun. He could make things occur that you didn’t expect, good and bad. And the game became both fun and humorous. Someone might throw a spell at the bad guys, only to have it miss and splatter a table all over the room. Or a player might swing at an Orc, and hit his compatriot standing next to him. On the second night I played a woman decided to fire a cone effect spell at the monsters, which wiped them out, while also taking out my character. She then decided to loot the bodies, including the one of the characters her boyfriend had played who had died the round before. Instead of helping the surviving characters fight the still extant monsters. Something that never would have happened in a computer game. Talk about a true mercenary. Playing D & D with live people has worked beyond my wildest dreams. Seeing how people interact in this fantastic playground, how their own wants, desires and plans shape the adventure, has given this writer numerous ideas. I was going to base the third book in my Refuge series entirely on the campaign of the legions of the Earth people. Instead I have decided to split the book much as was done with Lord of the Rings. Part will still follow the campaigns of the legions, while the other will be the story of a quest to find the artifacts of the Gods, to keep them out of the hands of the evil bastards the Earthers are fighting. I will continue to play a D & D character through another round of encounters, using those interacts to come up with ideas to use in my work.